The art of Afghan Kite Flying is a common hobby for most Afghans throughout Afghanistan. It was originally a form of sport that has in more recent times, taken the form of art. The making and flying of these traditional kites is considered an honour in local Afghan communities, whilst fostering some healthy competition within neighbourhoods where the best kite flyer is selected and celebrated. 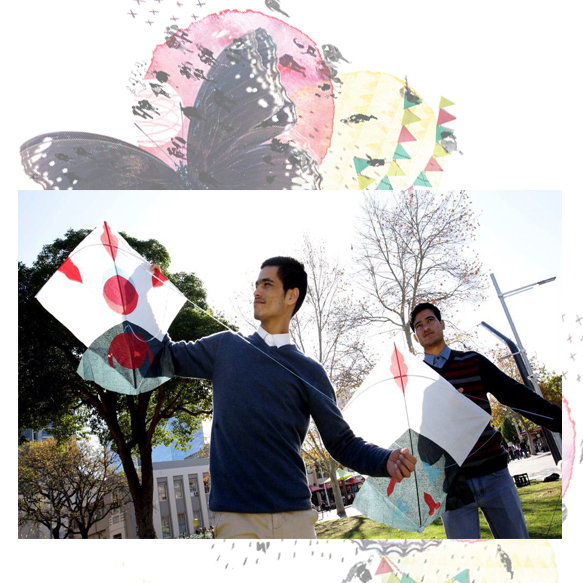 Join this workshop and learn the art of traditional Afghan kite making with Afghan Hazara kite artists, Roohulla and Nazir. During the workshop participants will be taught about the history behind the design and size of kites, the making of unbreakable tar (wire), the use of thin paper and the skeleton supported by bamboo wood. The Community Migrant Resource Centre’s Magic Carpet! Project works with refugee artists to help support their dreams, practice their art, and share their artistic skills with the Australian community. Magic Carpet! A CMRC initiative provides social enterprise opportunities to a number of talented refugee artists working across metropolitan Sydney.